Sydney is known for nightlife, trails, beaches, parks, and museums. 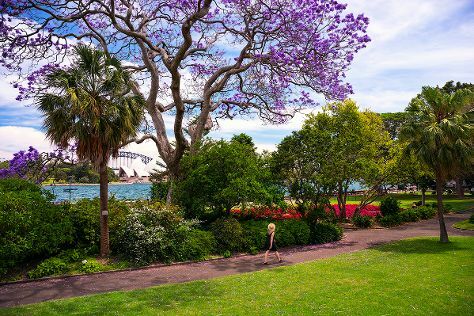 Your plan includes some of its best attractions: admire the natural beauty at Royal Botanic Garden Sydney, meet the residents at Sea Life Sydney Aquarium, tour the pleasant surroundings at The Opera House to the Botanic Gardens Walk, and examine the collection at Australian National Maritime Museum. To find ratings, other places to visit, reviews, and tourist information, refer to the Sydney trip website . Chennai, India to Sydney is an approximately 16-hour flight. You can also do a combination of flight and train. The time zone changes from India Standard Time (IST) to Australian Eastern Standard Time (New South Wales) (AEST), which is usually a 4 hour difference. Traveling from Chennai in April, expect Sydney to be colder, temps between 26°C and 17°C. 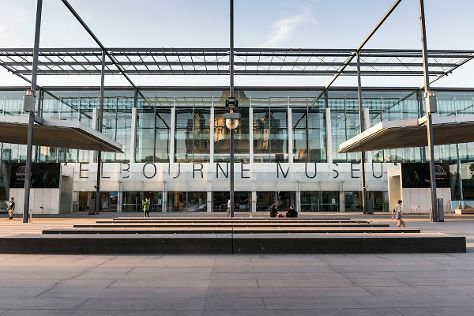 Finish your sightseeing early on the 22nd (Wed) to allow enough time to travel to Melbourne. Melbourne is known for museums, shopping, parks, zoos & aquariums, and nightlife. Your plan includes some of its best attractions: take in nature's colorful creations at Royal Botanic Gardens, enjoy breathtaking views from Eureka Skydeck 88, see the interesting displays at Melbourne Museum, and admire nature's wide array of creatures at Melbourne Zoo. For where to stay, maps, and tourist information, read our Melbourne holiday builder website . Traveling by flight from Sydney to Melbourne takes 3.5 hours. Alternatively, you can do a combination of flight and shuttle; or drive. Plan for slightly colder temperatures traveling from Sydney in April, with highs in Melbourne at 23°C and lows at 11°C. Wrap up your sightseeing by early afternoon on the 26th (Sun) to allow time for travel back home.